Odell Beckham Jr. was impressive during limited work as the New York Giants held their first practice of training camp on Thursday. Beckham had three receptions during the practice session, including two on back-to-back plays during 11-on-11 drills, according to multiple media outlets. The mercurial wide receiver is making his way back from a fractured ankle that limited him to only four games in the 2017 season. [post_ads]Earlier Thursday, Giants co-owner John Mara said the club will be sitting down with representatives of Beckham "sooner rather than later" to begin talks on a long-term contract extension. 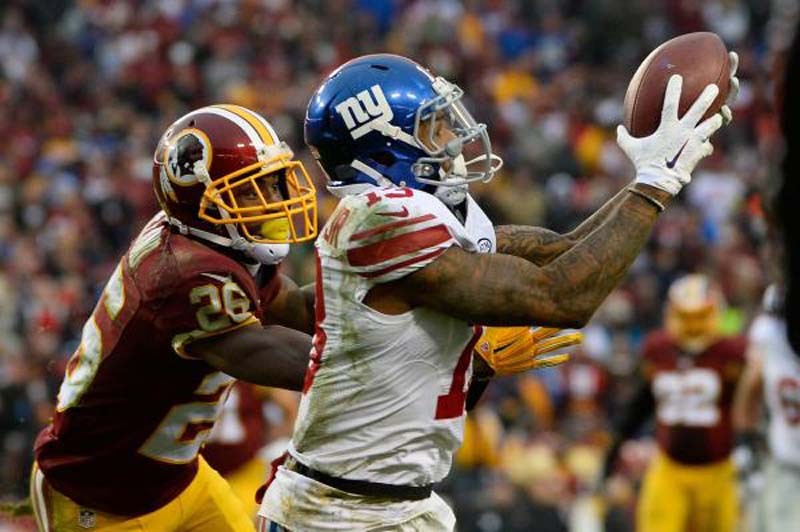 Beckham is scheduled to make $8.459 million in the final year of his rookie contract, but the Giants wanted to see him back on the field before addressing his wishes for a new deal. "We obviously want him to be a Giant for a long time," Mara told reporters, per the New York Daily News. "We hope to be able to come to some agreement with him. I'm not going to negotiate [the terms of the contract] publicly, but obviously we know what it's gonna take -- we think we know what it's gonna take -- and we'll see if they agree." Beckham worked out of the slot at Thursday's practice, according to The Athletic, while ESPN reported that fellow Giants wideout Sterling Shepard said Beckham looks "so much more explosive" than before he was hurt. The 25-year-old Beckham was limited to 25 receptions and three touchdowns last season. A Pro Bowl selection in each of his first three seasons, Beckham had 101 receptions for 1,367 yards and 10 touchdowns in 16 games in 2016. In 47 career games, he has 313 receptions for 4,424 yards and 38 touchdowns, including a career-high 13 in 2015.